Summer Program for Arithmetic, Reading and Knowledge! SPARK is a summer academic program with two goals. The first is to promote reading and math skills during the summer. The second is to fund the PTA operating budget. Last year, SPARK raised more than $80,000, which funded field trips, InReach for students in need, staff appreciation, classroom materials, and many other items. Help your child set a goal for the number of hours he/she plans to read and practice math skills over the summer. Ask family members or special friends to pledge an amount of money per hour of summer skills work or make a flat donation. Many employers offer corporate matching funds. Determine if this is an option that is available through your employer. 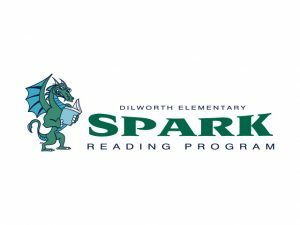 Have your child record their reading goal and pledges on their SPARK Contract. Throughout the summer, read and practice math skills, recording your time on the tally sheet. Listen to books on tape, do flash cards and workbooks, read aloud to your child, play Scrabble, Boggle, Bananagrams, or other educational board or computer games. collect pledged dollars and submit these donations with their tally sheets. The more your student reads, the more likely he/she is to win fabulous prizes at the SPARK Day assembly in October. Lowell Combs, lrayburncombs@gmail.com or Lynne McDonald, lynnewebber@aol.com.